Mounting a video camera to the front of a car produces an awesome traveling shot that helps raise the quality of your video production. Viewers are always impressed with shots that give them an unusual perspective or angle. Since most of use don’t watch Jackass and follow suit, life as viewed from the hood of a car is unusual enough to peek viewer interest and help your video stand out from the enormous crowd. 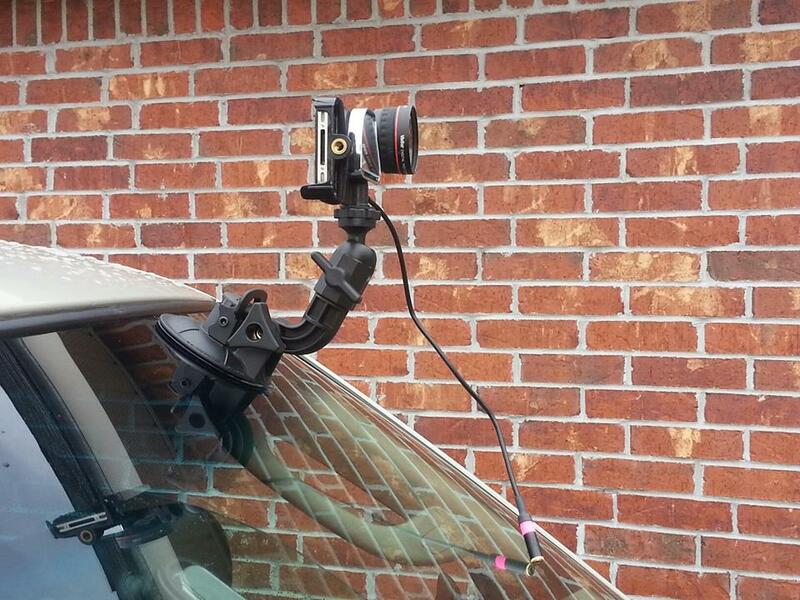 Surprisingly easy and inexpensive, mounting a video camera to a car can be done with a suction cup mount and a few other simple tools. Logic dictates that you use the smallest camera possible so iphone cams work great. That’s an iPhone 4 in the picture with a wide angle lens attached. Many other small video cameras would work too. Attaching a wide angles lens not only broadens the perspective of your shot, it also helps the shot appear steady and in focus. Wide angle lenses, by their very nature, have virtually infinite focus and are the simplest way to make camera shake virtually disappear. 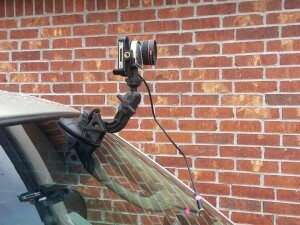 The video below is an example of using the shot you get from mounting a camera onto the hood of a car. The video is part of a highly successful series of videos produced by a guy named Stephen Garner for the Real Estate Marketing niche, which, if you have not noticed, is HUGE! Stephen has been extremely creative with video, developing many incredible ways for video to benefit anyone working in the real estate niche. Stephen created some training and you can access it with the link below. Cell phones are some of the most common video cameras around these days, which makes me laugh. I joke that these are awesome video cameras that also happen to make phone calls! Cellphone video making is enormously popular. 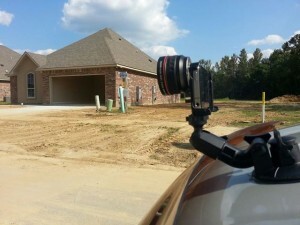 If you get the right accessories, you can really enhance the finished quality of your videos. I’d like to acknowledge VPT friend and Real Estate Appraiser Bill Cobb for help with this post. The still image at the top was taken by Bill. He says the video files from his iPhone easily transfer to his iPad for editing. Here is a second picture he sent me of the suction cup mounted onto the windshield. The suction cup can be adhered to virtually anything. Whether you wish to shoot moving video clips taken from the hood of your car for real estate videos or for monster movies, getting such an awesome shot has never been easier. Thanks for reading Video Production Tips! As always, I hope these posts help you create better videos! How kind and gracious of you Bill! Thanks a million for such a nice comment. I am humbled by your praise, I certainly hope my little blog is as good as you say and helps people learn video! Thanks for showing me how you were using this cool trick! Little cameras are so fun for these things. You can mount them anywhere which certainly increases the ability to get cool and unusual shots. One little suggestion I have is to sometimes point the camera toward one side of the road or the other, and avoid having so much of the shot taken up by concrete. Maybe that was indeed done and I just didn’t see it. You do such a marvelous job learning new things and expanding your Real Estate Appraisal services by branching out into things like video. I am always impressed by that! Thanks for your help and keep making videos! This is great information! I’m not that tech savvy per say; so this information will definitely come in handy for me! Thanks for sharing!